» GRAND SLAM/GRAND MOTHERS FUNCK/NASA FUNK/A MAN ABOUT A DOG: Funk Originals – Out Now! 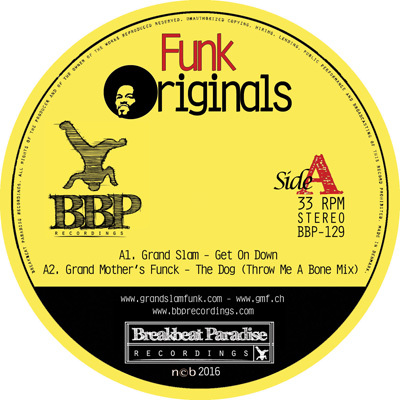 GRAND SLAM/GRAND MOTHERS FUNCK/NASA FUNK/A MAN ABOUT A DOG: Funk Originals – Out Now! 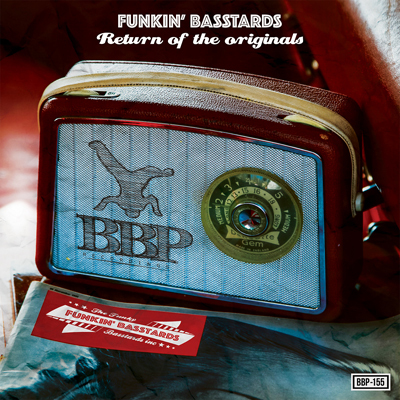 Breakbeat Paradise Recordings is turning back time to the early 70s when funk music was made by talented musicians joining forces in bands with the objective to create the next big funk anthem. So many big tunes and classic funk productions came out of this era and it also harnessed a new breed of funk bands across the globe who is dedicated to continuing the legacy of the funk music in the new millennium. Breakbeat Paradise Recordings has proudly collected 4 bands to represent the new era of funk from various parts of Europe. German based Grand Slam, Swiss funk band Grand Mothers’ Funck, Nasa Funk from Greece and A Man About a Dog from the UK has all provided original funk jams to this groovy 12” vinyl. Leading the way on the a-side is Grand Slam who has created a big summer tune which sits in well with some of the current radio funk jams and will be sure to bring the ladies on the floor. Grand Slam has been around since 1985 by incorporating various flavors from Rock, Jazz, Soul and Hip Hop. The Get On Down jam from their upcoming release due May 2017 shows just how its done to do classic oldskool P-Funk which sounds as fresh as anything else on the radio here in 2017! 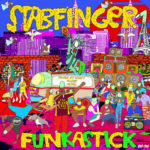 Produced by (and featuring) veteran P-Funk legend Gary “Mudbone” Cooper! Grand Mother’s Funck means business on the straight up funky The Dog tune taken from their brand new album Take The Money. 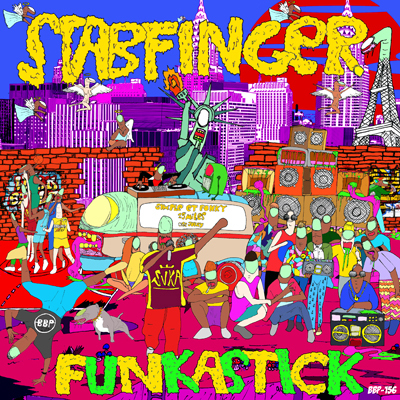 A special edit was done for this release as they are celebrating their 12th album release from a legendary veteran funk band who has been tearing up the Swiss funk scene for over 23 years now. 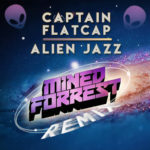 On the flipside the funk is riding equally high as Nasa Funk rolls in their Stand Up jam. Straight outta Thessaloniki, Greece comes this 5-man band with vocalist George Perin leading the way. 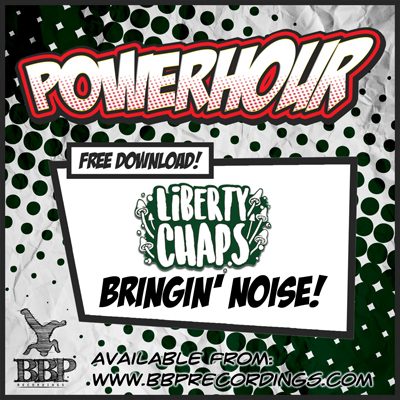 This tune is produced with old friend of label Basement Freaks. Last but certainly not least we turn our attention to the UK where the band A Man About a Dog has cooked up a latin-inspired and jazzy funk tune called Pollos. 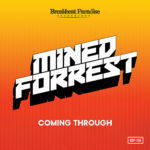 That sums up the first all original funk release to be dropped on Breakbeat Paradise Recordings. After digging in a sampling so many great funk tunes over the years, this seemed like only right way to pay our respect to the genre of music we love and cherish so much. 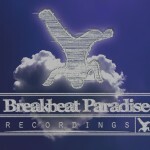 “Breakbeat Paradise is a label which has made a name for itself over the last decade and more by providing party breakbeat junkies with all manner of musical goodies, not a few of which have made cheeky usage of samples borrowed from the golden era of syncopated soul. 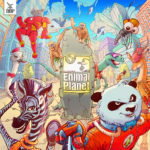 Now the label is returning the favour to the funk with an EP of all-original 70s-style tracks” /Monkeyboxing.com – Read full review here! Fab Samperi 8 Nice & Funky! 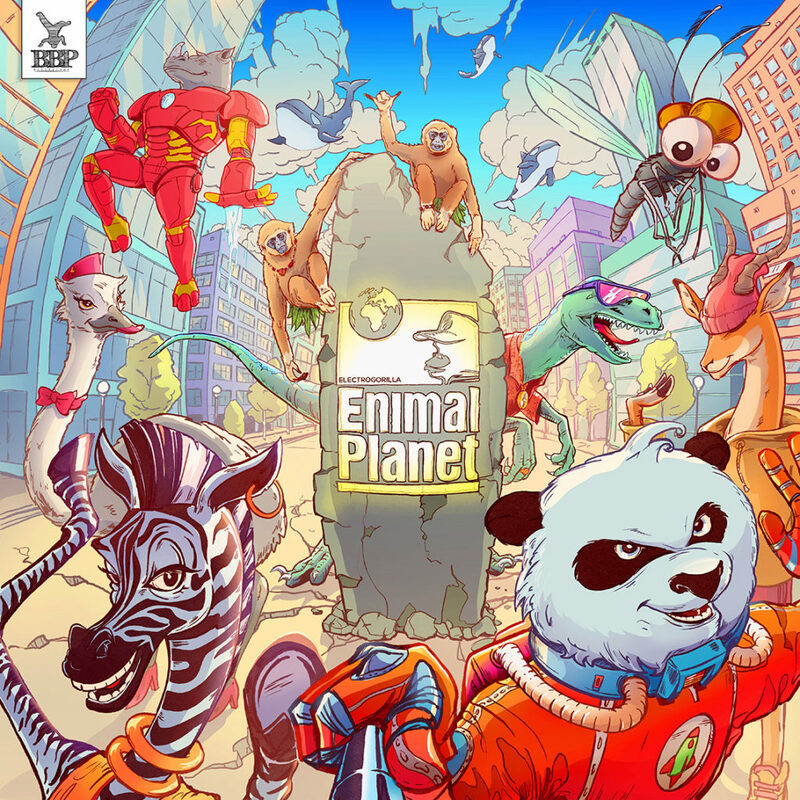 Dj One (Aliens In Denmark) 10 This is such a great selection of pure funk!!! Dj Clairvo (MustBeat) 10 Diggin’ this rare-groove sound pretty much!! Jayclue, Qdup Foundation 10 Nice funk right here! 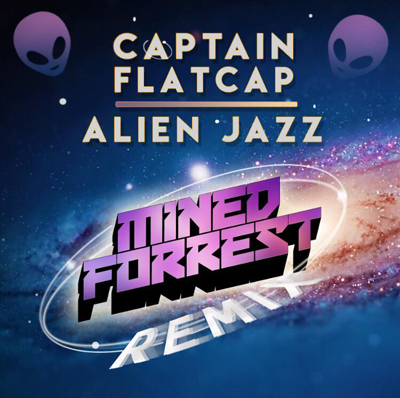 I’m absolutely loving Grand Slam Get on down and NASA FUNK Stand Up… These are going on repeat in my funk sets! DJ Kid Stretch 8 Great stuff once again! 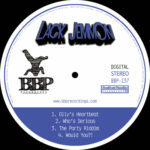 Jayl Funk 10 Thats the BBP Sound i Love soooo much 🙂 Very good EP, TOP Tunes! “STAND UP” is my favourit 🙂 Full Support!